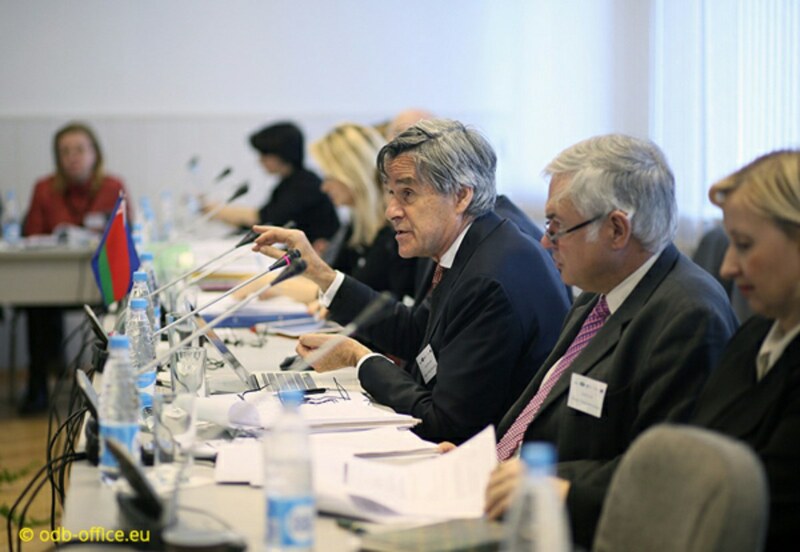 The Observatory was a partner with the the Council of Europe, ODB Brussels, the Belarusian National Institute for Higher Education and the Council of Europe Information Point in Minsk in the organisation of a workshop in Minsk on 26 and 27 November 2015. The workshop was aimed at supporting structural reforms of the Belarusian system of higher education, which were set out in the Belarus Roadmap for Higher Education Reform when Belarus was accepted to the European Higher Education Area in May 2015. The programme which was attended by 20 senior leaders, typically vice-rectors and heads of departments from 10 Belarusian universities who had been tasked with developing and implementing the necessary reforms. had been designed in consultation with Belarusian Officials including those from the Ministry of Education of Belarus. It was practice orientated and participative and participants commenced work on formulating action plans. It was led by Professor Aleksa Bjeliš, Professor at the Department of Physics, Faculty of Science, University of Zagreb, Croatia, Professor Jürgen Kohler, Professor of private law and private litigation (Bürgerliches Recht und Zivilprozessrecht) at Greifswald University, Germany, David Lock, Secretary-General of the Magna Charta Observatory and International Adviser to the UK’s Leadership Foundation for Higher Education and Dr. Sijbolt Noorda, President of the Council of the Magna Charta Observatory. 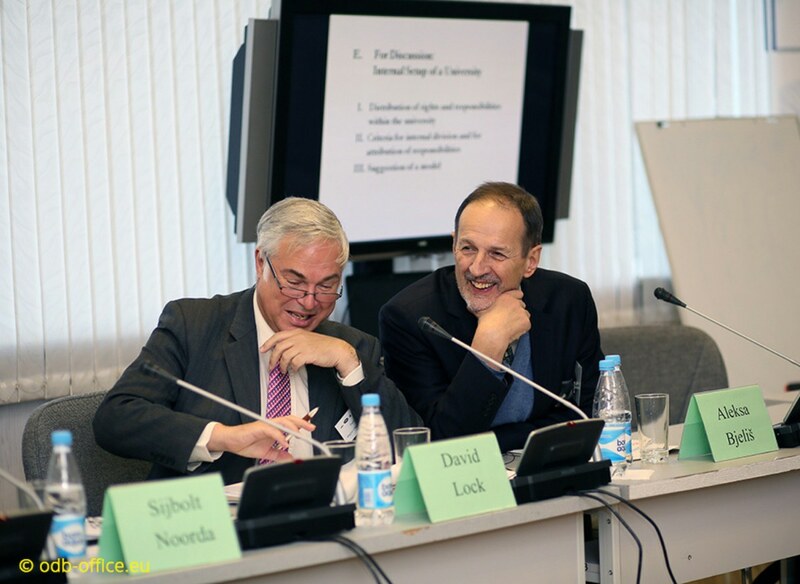 Sessions were chaired by Katia Dolgova-Dreyer of the Council of Europe and Olga Stuzhinskaya of ODB –B who, with David Lock, comprised the organising committee. A report and further information about the workshop can be found at this LINK.